Port Askaig is a port village on the east coast of the island of Islay, in Scotland. 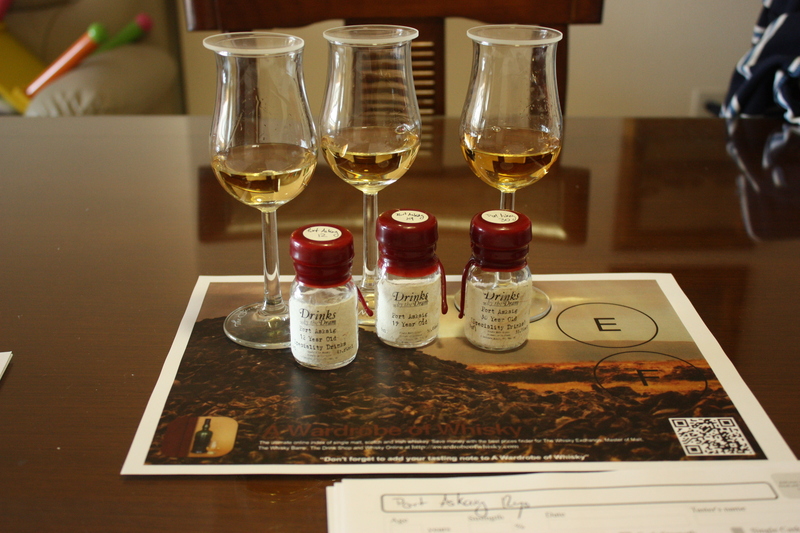 And very close to Caol Ila… maybe it is a hint? Who knows?… anyway the whiskies are sourced from a “secret” Islay distillery and bottled by Speciality Drinks at a generous strength. They have been around for almost two years now but unfortunately I haven’t been able to source a sample till now. But the wait is over. I just spotted three of them at Master of Malt’s Drink by the Dram and thought about it no even a second. Add to basket. Click. Checkout. Click. Confirm. Ding-Dong! Let’s get our daily peat-dose. One dram a day keeps the doctor away! The fresh young addition to the family, Port Askaig 12 year old was introduced at The Whisky Exchange Whisky Show 2012 and is a delightfully vibrant, sooty, salty seaside dram perfect for autumn and winter hipflasks. Nose (89): more than average. peat, citrus, vanilla, earth, spices. Nice! This is Caol Ila for sure. Palate (89): powerful, oily. peat, citrus, vanilla, pepper, floral. So based on other whiskies I have already tasted I rate this Port Askaig 12 Years Old - Speciality Drinks with 89 points over 100. Palate (90): powerful, oily. peat, spices, honey, citrus, wood, pepper. So based on other whiskies I have already tasted I rate this Port Askaig 19 Year Old with 90 points over 100. A splendidly gentle and elegant 30yo Port Askaig, showing delicious honeysuckle on the nose, then bonfire smoke and leafy oakiness on the palate. One of the most perfectly autumnal whiskies we've ever tried. Nose (90): more than average. honey, spices, dried flowers, vanilla, wood. Palate (92): powerful, oily. peat, honey, citrus, spices, candies, flowers. Finish (91): longer than average. peat, honey, vanilla. So based on other whiskies I have already tasted I rate this Port Askaig 30 Year Old Islay Single Malt Scotch Whisky with 91 points over 100. You know that I am kind-hearted for peated whiskies and these whiskies are really nice. But I personally find the price a bit high for a “secret” distillery you can find other “secret distilleries” bottlings similar to this at a more competitive price… anyway, great whiskies they are, joy they give. My favourite is the 19 years old for the best bang for the buck.